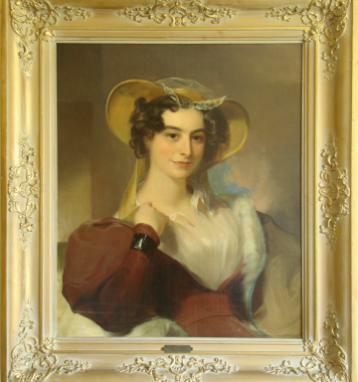 The Rosenbach Museum & Library announced today news of an important acquisition of two rarely seen portraits depicting Rebecca Gratz and her brother, Joseph Gratz, belonging to the beloved Gratz family. Canary is very excited to be working with the museum – a long-time media relations client – to share the news of these culturally significant portraits. The Gratzes were a prominent early American Jewish family who lived in and made many lasting contributions to both the Philadelphia and Lancaster, Pennsylvania regions throughout the 19th century. We encourage you to visit the Rosenbach Museum & Library in the coming weeks to experience these visually stunning portaits, an important addition to Philadelphia’s art world, and explore the history and legacy of Rebecca Gratz and her family to our city. To learn more, check out today’s Philadelphia Inquirer which includes a great spread detailing this remarkable story by culture writer Stephan Salisbury, Rosenbach acquires portraits of Gratzes, or view our press release online. 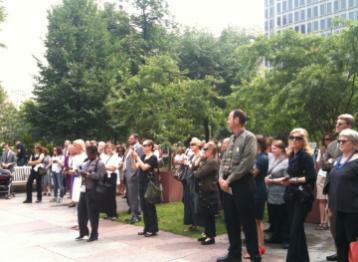 June 10: The sun was shining today as notable Philadelphians, program “voices” and participants, and excited onlookers were on-hand to celebrate the launch of Farimount Park Art Association’s new multi-platform, interactive audio experience Museum Without Walls™: AUDIO in LOVE Park. We were there, and we took some photos of the event. Click “Read More” below to check them out! This Thursday beginning at 11 a.m., we’ll be on the scene at LOVE Park as Fairmount Park Art Association celebrates the launch of the new multi-platform, interactive audio experience Museum Without Walls™: AUDIO. 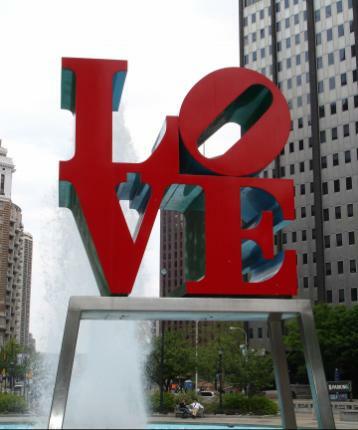 The official launch event, which is free and open to the public, will include a sign dedication at Philadelphia’s iconic LOVE sculpture, iPod giveaways, and an opportunity to meet the voices behind many of the program’s three-minute audio segments—which explore the untold histories behind 51 outdoor sculptures at 35 stops along Benjamin Franklin Parkway and Kelly Drive. A number of the voices included in the program’s audio segments, as well as other Philadelphia notables, will be attending the event including Penny Balkin Bach, Executive Director of the Fairmount Park Art Association; Gary Steuer, Chief Cultural Officer for the City of Philadelphia Office of Arts; Mark Focht, Executive Director of Fairmount Park for the City of Philadelphia Department of Parks and Recreation; James “Jimmy” Binns, a Philadelphia lawyer and a former Pennsylvania Boxing Commissioner who is a member of the Pennsylvania Boxing Hall of Fame and can be heard on the audio program for A. Thomas Schomberg’s Rocky sculpture; Pulitzer Prize winning playwright Charles Fuller, whocan be heard on the audio program for the sculpture, All Wars Memorial to Colored Soldiers and Sailors byJ. Otto Schweizer; and more. For more about Museum Without Walls™: AUDIO, check out the KYW1060 story, the City Paper preview, and the program’s client page on the Canary website.